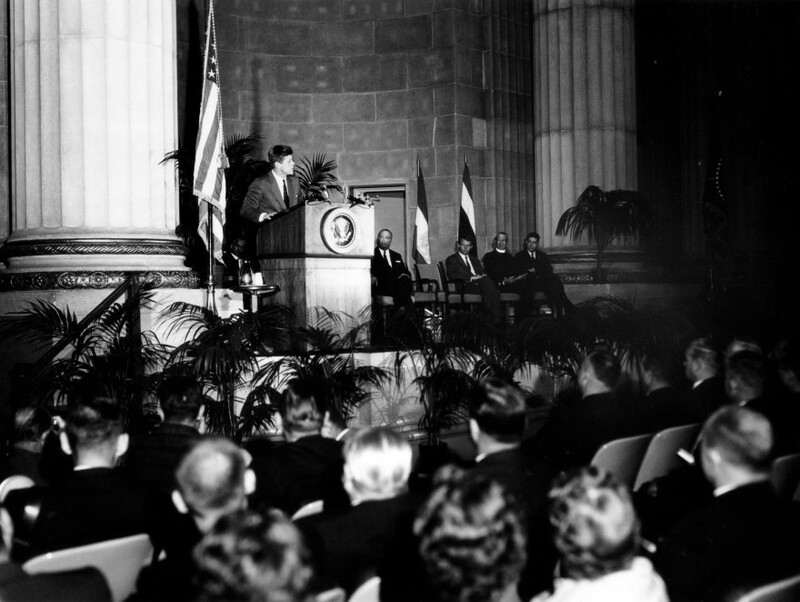 President Kennedy addressed the graduating class of the FBI National Academy held at the Departmental Auditorium (now known as the Andrew W.. Mellon Auditorium) on October 31, 1962 from 11:20 – 11:35 AM. 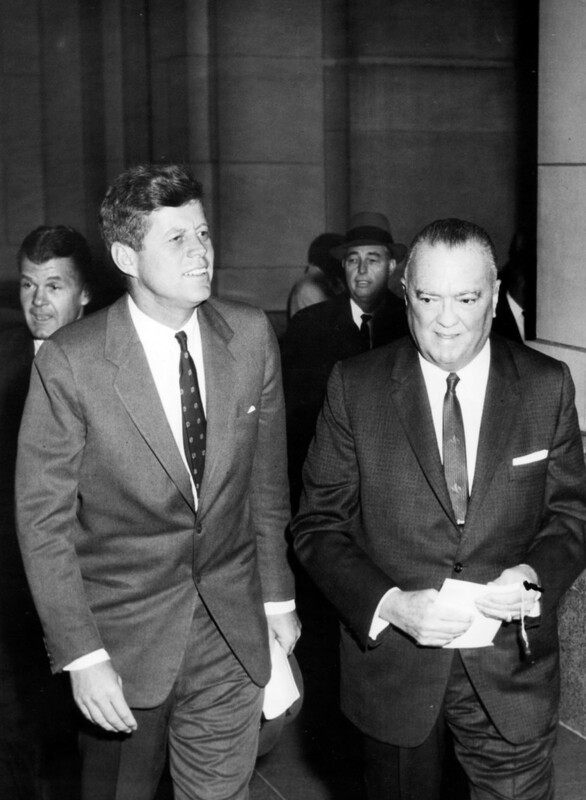 President Kennedy walks with Director of the FBI J. Edgar Hoover on the way to Kennedy’s address before the graduating class of the FBI National Academy. Photo by Abbie Rowe / National Archives. 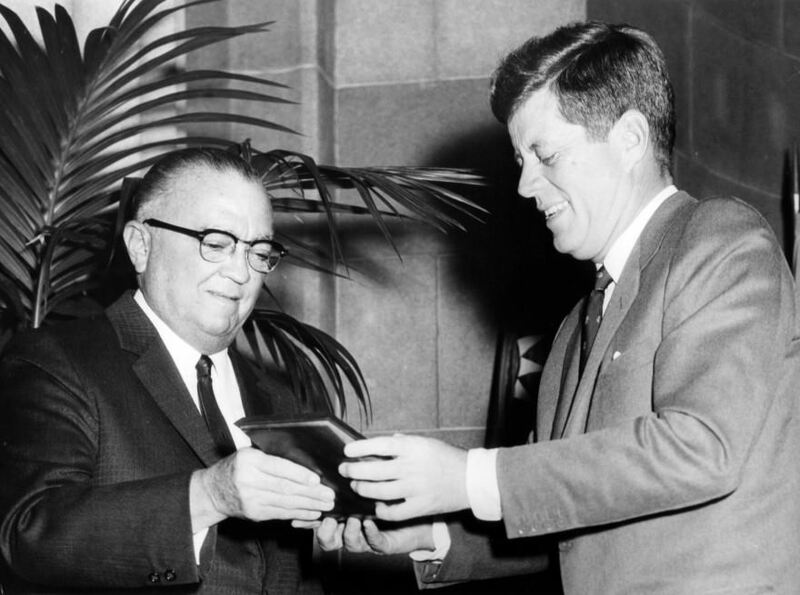 President Kennedy with J. Edgar Hoover at a ceremony for the graduating class of the FBI National Academy held at the Andrew Mellon Auditorium. 31 October 1962, 11:20 – 11:35 AM. Photo by Abbie Rowe / National Archives. Gentlemen, I was anxious to come here this morning for several reasons. First, because of a long knowledge of the FBI, a long acquaintanceship with its personnel, and the greatest respect for its Director, Mr. Hoover, who is one of the most distinguished public servants who have occupied positions of high responsibility in the long history of this republic, and also because of the extraordinary men who have rallied to the standard of the FBI over the years and have served the public interest. 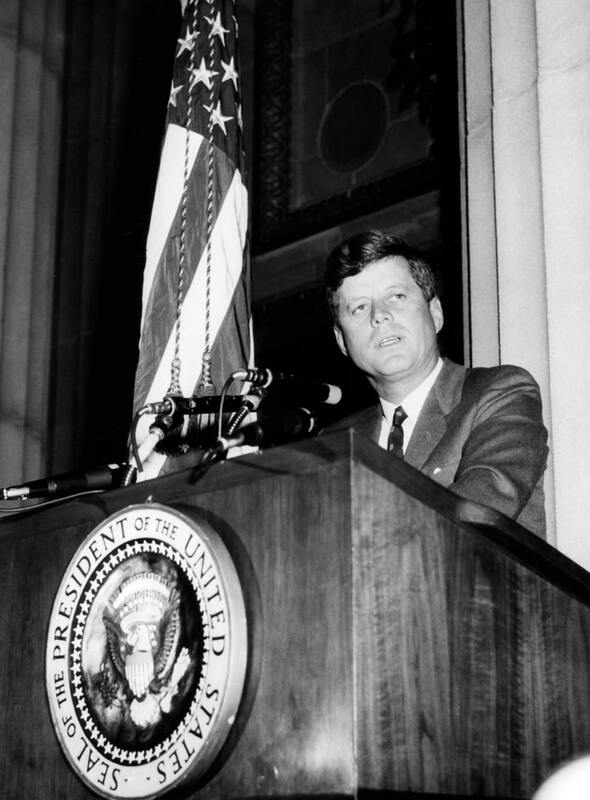 I don’t think that our citizens are as aware as they should be, as I have come to be, of the thousands of dedicated men and women who serve our country, who serve the public interest, in organizations such as the FBI, the Secret Service, dozens of other governmental agencies, who day in and day out maintain the strength of our society. And their dedication is matched by the thousands of men and women who serve in our Armed Forces and who are rather ignored in ordinary times, but who provide us the security which permits us to follow our private lives. This is also true of those of you who serve in police work, whether it’s in the FBI, whether it’s in the various States or, the communities or the counties, or those of you who represent the police forces of countries abroad. Most of the time your work is unheralded; you’re frequently subject to criticism. When there is a failure to solve a crime, your failures are broadcast. What I want to emphasize this morning is the great obligation which all of our people owe to you and those like you who serve the great interest of our people in maintaining our society as we know it, in permitting it to function. Your work protects the family. Your work protects private property, which is the basis of our social life and our family life. Your work permits us to meet our responsibilities as a Nation. I want to say, as President of the United States, that we have the greatest debt to all of you. I’m glad you’re here at this Academy. This is extremely difficult and sophisticated work. 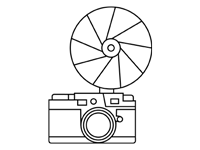 It involves the most detailed modern communications, the kind of information on great movements of crime throughout the world as well as throughout the country. It requires sophisticated law enforcement. It requires a great knowledge and feeling for civil liberties, the rights of those who are accused as well as the rights of those who are innocent. All of this means that this great Academy, with its long tradition, fulfills a great public need. I want to express our thanks to all of you, those who are here at this Academy, those who serve and direct our police work around the country, the policemen on the beat–because they are the men, and the women who serve with them, who make this country function, who make it what it is, who serve the public interest, who are frequently ill-paid, who frequently travel with hazard and danger, but who make it possible for all of us to carry out our private lives.